very very nice job … well done HDR!!! the clouds did nt move fast??? movement is an issue with the multiple images HDR requires … this should be for sale in your store as well. Love this shot! I could never get a good day to see Everest so well from here. 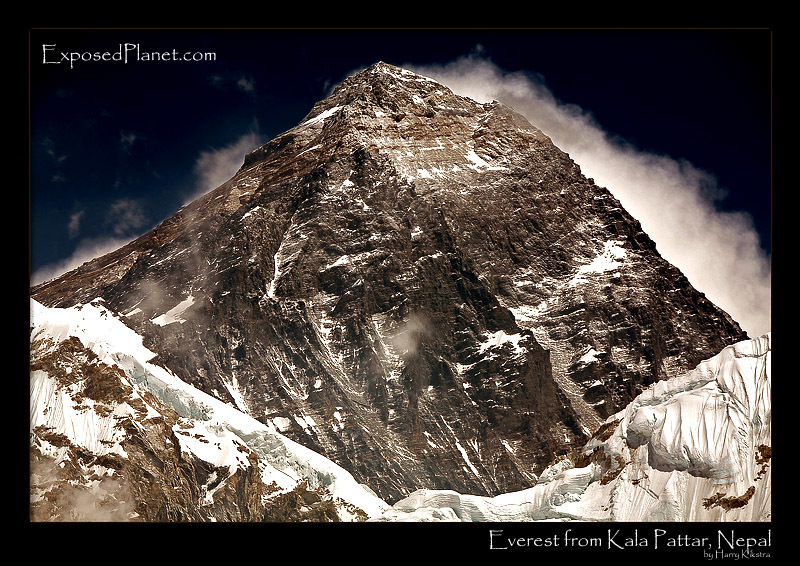 The story behind "Everest from Kala Pattar"
Kala Pattar is a small mountain at the start of the Khumbu Glacier. In fact is is not even a separate mountain, but a ridge from PumoRi. The claim to fame of Kala Pattar is that you can see the top part of Everest here, something you cannot from the Basecamp, which is a few hundred meters lower and some kilometers away. This is a HDR composite to get richer tones of the dark mountain, shot with Canon Eos 5D, with 70-200mmL IS at 200mm.